This postcard is of a pub called the "Man of Kent." The reverse of the card is dated 1919 and mentions 5 or 6 locations that all have a "Man of Kent" pub in them, so Rory Kehoe informs me. But so far I haven't been able to identify the pub. 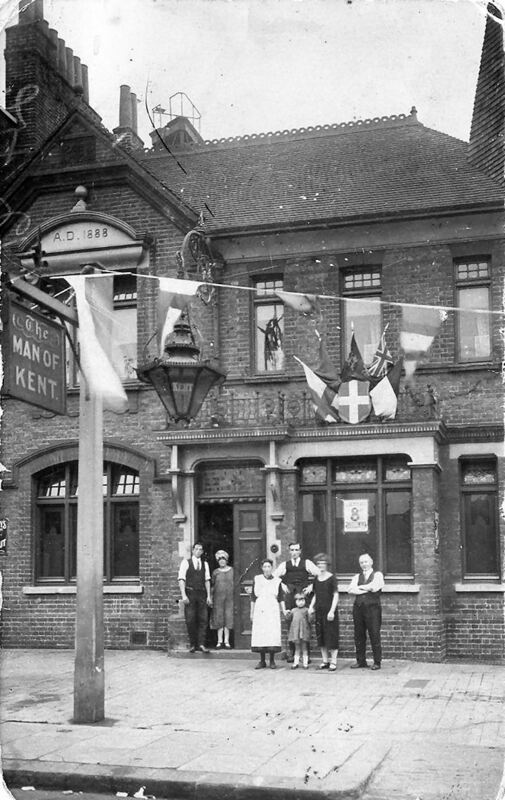 Peter Moynihan says that this is the "Man of Kent" in Eltham and that it still stands, although no longer a pub. It is situated next to the old fire station. The tower was significant and gave it away as it is what the fireman practiced their ladder skills on.